After years of living with her mother’s mental illness, Brandy Jackson gets a new start in a new town where she finds love, frenemies, a spot in an all-white high school marching band…and lots of trouble! Music-loving 16-year-old Brandy Jackson has had it up to here with “they”–the annoying voices inside her mother’s head. She isolates herself from the dreaded schizophrenic episodes with Beethoven and her iPod. Her long-suppressed desire to learn music is squelched by the burden of mental illness, at least until she arrives home from school to find her belongings on the DC streets and her mother vanished. Fortunately, Aunt Charlie comes to her rescue and moves her to Mapleton, Ohio, where she begins a new life free of her troubled past—or so she thinks. 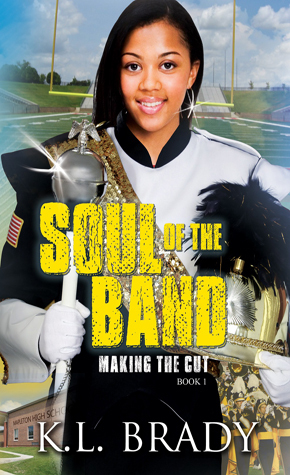 Brandy’s plans to fly under the radar at school in order to conceal her family’s shame are quashed when Jenny Lee, her new next-door neighbor and a flutist, recognizes Brandy’s musical obsession and urges her to join the all-white high school marching band. Brandy obliges and soon realizes she’s traded her old troubles for new ones. Now, she stands out like a chocolate chip floating in a sea of milk; she has less than three months to learn to play her dreaded tuba-—her only ticket to earn a spot on the band; and a near kiss with the Queen B’s boyfriend lands her in triple trouble with the popular chick clique. But when another band member’s failed plot to get rid of his nemesis unexpectedly leaves Brandy in contention for the band’s most coveted position, the ensuing drama will give her the strength rise above her circumstances—or leave her paralyzed in the shame of her past. 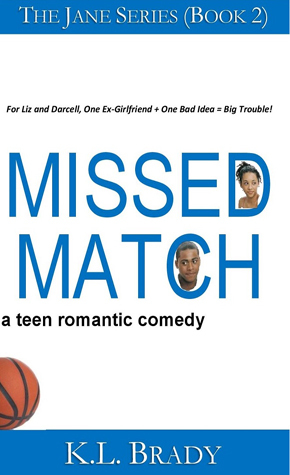 Meet Basketball phenom Liz Bennett, a clever tomboy who believes her first impressions are never wrong. She dresses down and lives her life under the radar in the high school social scene to keep her name out of the gossip mill. With two trouble magnet kid sisters and a mother obsessed with protecting her virginity, she’s already dealing with more drama than an Emmy-winning daytime soap opera. Trent Whitman, Liz’s hot new admirer, pursues and woos her with his silver tongue and hazel eyes. 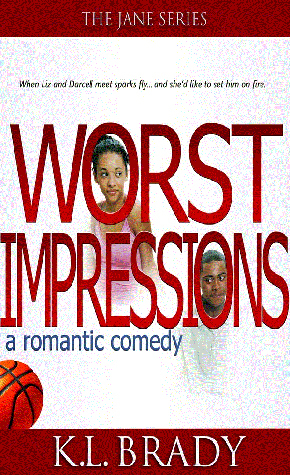 He turns on the charm, and Liz believes she’s finally met “the one.” Darcell Williams, on the other hand, is a star football player, who sticks his cleats in his mouth from day one. When Liz sizes them up, she decides Trent is a dream and Darcell is a devil reincarnate. During the Back-to-School dance, Darcell spews an oh-no-he-didn’t insult that—in her mind—confirms she’s right about him from the first moment they meet and their feud is on and popping! But when a Bennett family crisis reveals Darcell’s and Trent’s true colors, will Liz’s pride prevent her from accepting each for who he really is? Basketball phenom Liz Bennett has scored the win of her lifetime…the heart of star football player Darcell Williams. After a rocky start, replete with foolish pride and misconceptions, their relationship is finally flourishing…and just in time. Senior prom is just around the corner and everyone at school is anticipating Liz’s metamorphosis from the tomboyish wallflower to the beautiful social butterfly as she accompanies her Prince Charming to the dance of her lifetime. Darcell’s gorgeous and chic ex-girlfriend unexpectedly transfers to Mitchellville Academy sending all of Liz’s insecurities into overdrive. Even worse, when a secret involving Darcell’s old relationship is revealed to the entire school, Liz’s whole world is thrown into a tailspin and she makes one impulsive move after another to hold onto her first love. When she’s finally confronted with an issue that may decide the fate of their relationship, will she choose to be with Darcell…at the risk of losing herself? And if she chooses herself, who will Darcell take to prom?